When this guy stepped off a 30-hour flight from Sydney last week this is probably the last thing he expected – or wanted – to come home to. Unfortunately for Gareth Neary from Drumcondra, Dublin, his mates had other ideas. 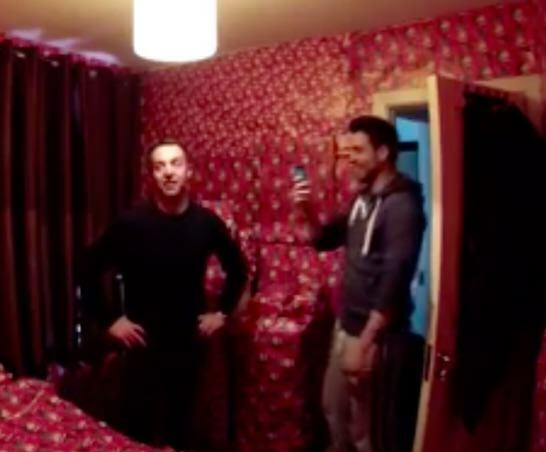 To celebrate Gareth’s return, and knowing of his deep hatred for Christmas his sympathetic mates decided to gift wrap his entire bedroom for him. John French posted a clip on Facebook of the moment Gareth arrived home to be greeted by his festive homecoming surprise with the caption ‘For someone who notoriously hates Christmas and has just travelled 30 hours from Sydney… Happy Christmas Gareth Neary and it has now had over 100,000 views. His fiendish friends had certainly gone all out, even wrapping his pillows and duvet up for him. Gareth can be heard to say, “This is the last thing I want after 30 hours on my travels,” as he is filmed by festive well-wishers whilst trying to come to terms with his questionable new decor. 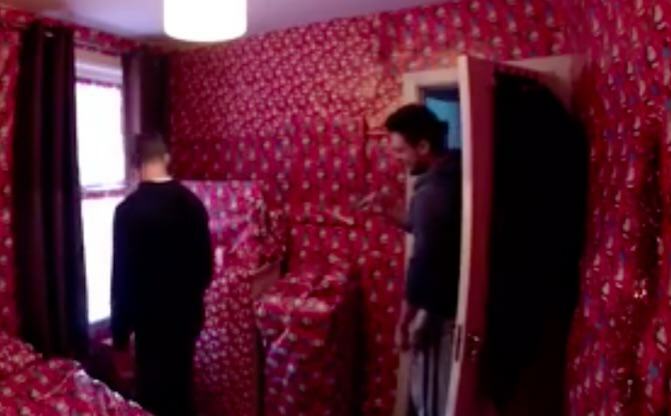 John was aided in his epic pranking by several others including Caroline Durkin, Kevin Wattimena, Mathew Buckley and Egle Godliauskaite. Great job guys, merry Christmas one and all.